If you’re a fan of camping, you likely enjoy a good adventure, so you don’t want to get stuck with the same old food again and again. Cooking while camping isn’t as convenient as cooking at home, so you want to make sure you have the right types of meals planned. Luckily, with a good slew of recipes, you can still enjoy delicious but convenient meals in the great outdoors. 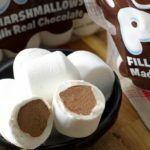 If you need some recipe ideas, try these eight tasty camping food ideas. 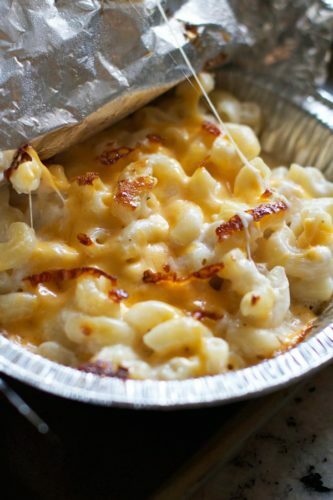 What sounds better than enjoying some ooey gooey pasta by the fire? Prepare your pasta in pie tins before you head to your campout, and just heat up over the fire for a comforting and warm dinner. 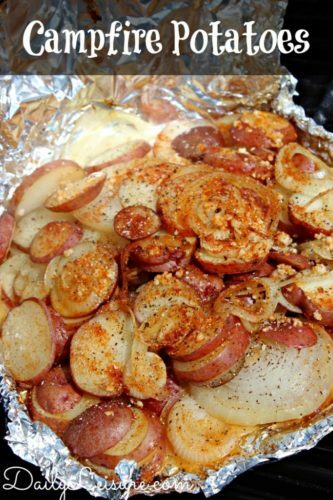 All you need for these delicious spuds is a fire and some tinfoil, and you’ve got yourself a delicious side dish that can be used for breakfast, lunch, or dinner. 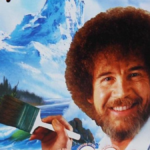 Two of your favorite guilty pleasures are combined to make this campfire dish. 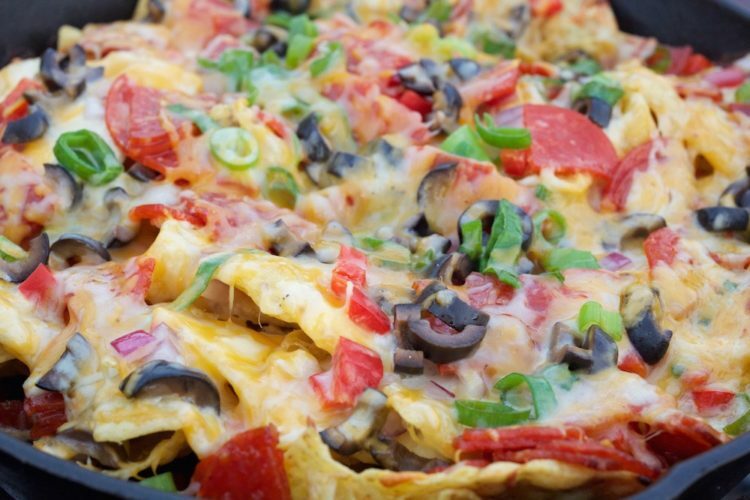 With a combination of Mexican flavors from the Nachos with the toppings of a classic pizza, you won’t have any problem scarfing this food down after a good hike. 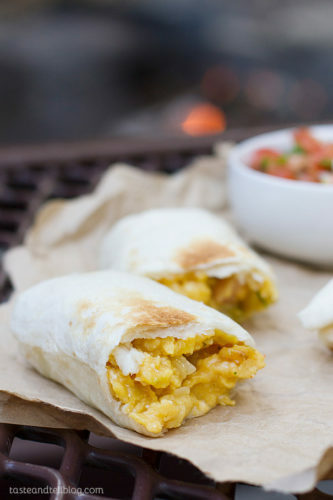 Make breakfast more exciting with these egg-filled breakfast burritos. This satisfying morning meal will be sure to get you through an outdoor activities you have planned throughout the day. 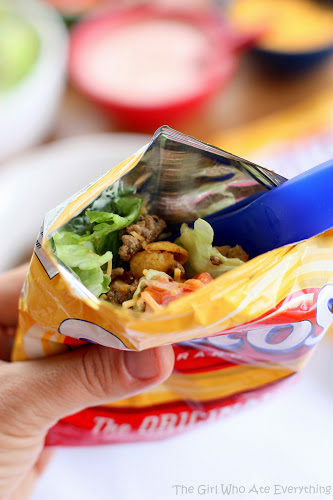 Make a taco straight from your favorite chip bag. This meat-and-bean filled meal is especially great because it’s easy to clean up and doesn’t require plates. 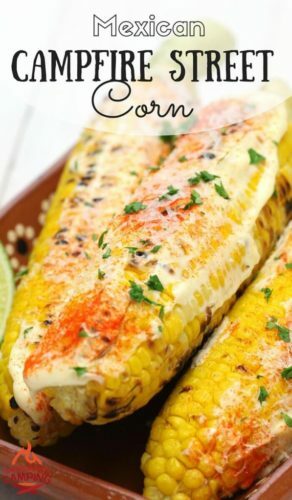 Corn is a classic campfire snack, and this version is made Mexican-style with cheese, mayo, cilantro, and other delicious herbs and spices. Grilling it over the campfire gives the corn a stronger flavor, and it’s a good option to make alongside any meat. This easy barbecue chicken makes life easier by giving everyone their own portions. 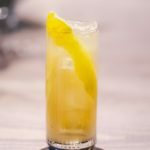 Cook the chicken and veggies together for less hassle, and the blended flavors will taste amazing. 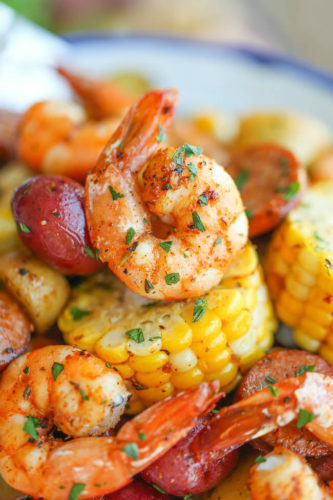 This is another option using the foil-cooking method, but this recipe uses shrimp and sausage instead of chicken. 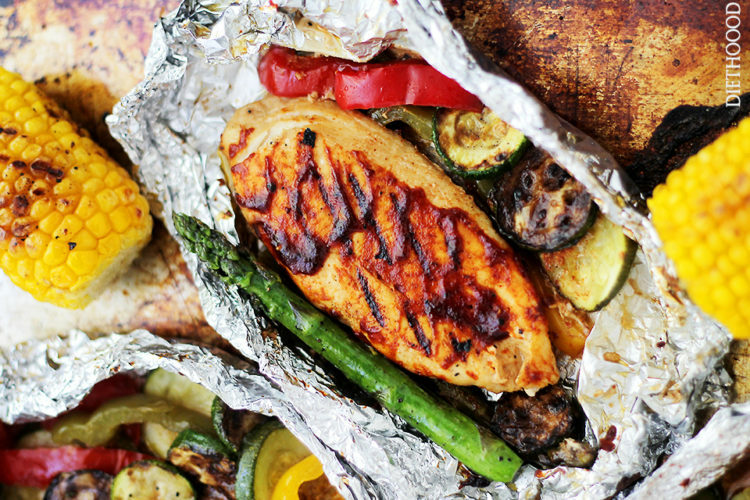 These foil packets also include corn and potatoes, and it’s seasoned with cajun spices to give it a kick.